Brexit-inspired tableware is being made to record Britain’s exit from the EU. 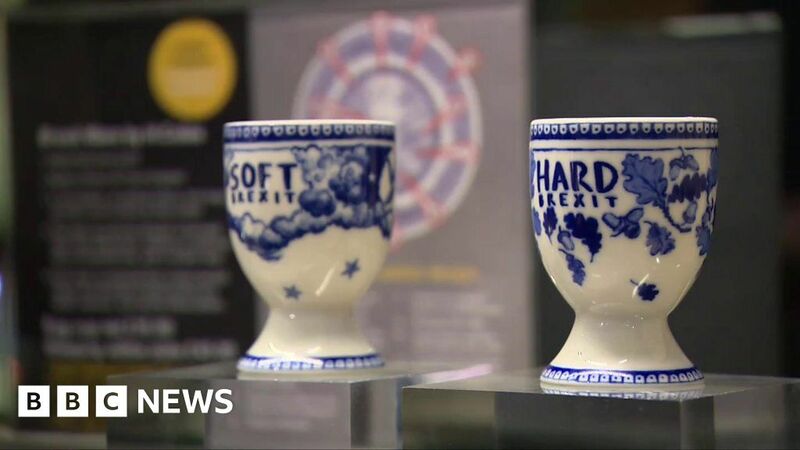 Ceramics artist Harriet Coles said she was inspired after her son suggested making egg cups for hard and soft-boiled Brexit. Ms Cole works references to Article 50 of the Lisbon Treaty, and the EU flag, into the distinctive blue and white pattern of her crockery. Brexitware is currently on sale in several museums, including the V&A.